Attention! 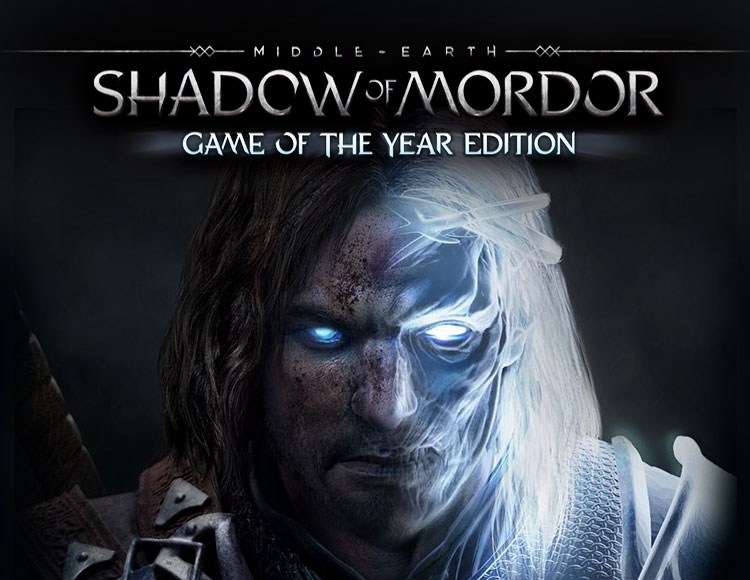 Middle-earth: Shadow of Mordor GOTY and Middle-earth: Shadow of Mordor Premium Edition are the same product. Do not buy this product if you previously purchased Middle-earth: Shadow of Mordor Premium Edition. Quest "The Guardians of the Fiery Eye". Tests "Strength check", "Speed ​​check", "Test of wisdom" and "Infinite battle". Supplements "Bright Lord" and "Great Hunt." Assignments "Squad of Skull Crushers" and "Order of berserkers". Runes "Hidden Blade", "Flame of Anor", "Deadly Bow", "The oncoming storm". Costumes for the character "Captain of the Watch" and "Dark Pathfinder". Middle-earth: Shadow of Mordor - a game of a new generation, whose events take place in the famous Middle-earth. You will find an exciting story about revenge and redemption. Execute the role of tracker Taleon, whose family died at the hands of the servants of Sauron. Taleon himself did not escape the cruel fate, but the Spirit of Vengeance brought him back to life and endowed him with supernatural powers. Now the returning pathfinder returning from the dead is to go to the depths of Mordor to fulfill his oath and destroy those who destroyed his life. Over time, he will discover the truth about the fact that he returned the Spirit to the world, he learns about the rings of power and will fight with his enemy. Each opponent that the player will meet will be unique - with their own characteristics, strengths and weaknesses. Thanks to the mechanics of the Nemesis System, the enemy´s relationships and characteristics are determined by the player´s actions and decisions. The dynamic world "Middle Earth: Shadows of Mordor" remembers you, reacts to your decisions and adapts to them. Here, each player will live his own - unique - adventure. Learn to use the ghostly forces and avenge the ruined life, fighting face to face in close combat or hiding in the dark and hitting enemies from afar. Look at the world with visionary vision and find the vulnerabilities of each of the unique enemies that have risen in the path of Taleon. Any opponent has his weaknesses, habits and characteristics that you can notice and use to your advantage. Defeat the enemies among themselves, forcing them to perform certain actions, and thereby make Mordor obedient to his will. Each opponent is individual and can become your sworn enemy, depending on what exactly you will undertake. The history of Taleon unfolds in the interval between the events of the trilogy "The Hobbit" and "The Lord of the Rings." You have to find out where the power rings came from, and become the most dangerous warrior in Mordor. Developing a strategy and making new sworn enemies, you will receive rewards in accordance with the rune system, improve weapons, improve their abilities and skills.